Samsung Turkey has just published some very good news for Samsung smartphone owners on its website. The post clears all confusion regarding which Samsung handsets and tablets are going to get updated to Nougat in 2017, once and for all. Additionally, it also clearly mentions planned dates on which the updates are supposed to go live for their respective smartphone/tablet models. We were pleasantly surprised to see that the Korean giant has included even the older and low-end smartphones like the Galaxy J5 and the Galaxy On7 from 2015 to this list. 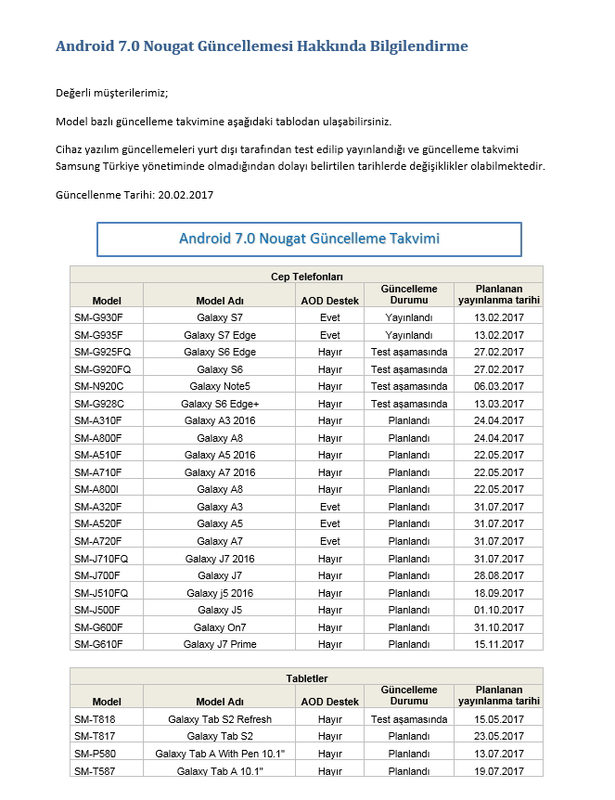 The only thing to keep in mind is that this is a Nougat roadmap designed for Turkey and therefore, the dates will vary according to your country. Nevertheless, the list does give us at least a rough idea about when to expect it for our respective smartphones. Once the update gets rolled out, it's only a matter of time before it reaches all regions. As expected, the Galaxy S7 range is the top priority, with most of the handsets in the range already being updated to Nougat 7.0 as you read this. It will probably be the end of the year or even early next year before the J5 and the Galaxy J7 Prime gets upgraded, but at least you know that it's coming! Head over to our firmware section to find all the latest available updates for your smartphone.